Yahoo has confirmed that it hired Google ad exec Michael Barrett as its new chief of revenue. As I reported earlier, Barrett will be in charge of advertising revenue and operations worldwide at the Silicon Valley Internet giant, including units in the U.S., Europe and Asia reporting in to him. Barrett will report directly to interim CEO Ross Levinsohn. The move to hire the high-profile exec — who has been working at Google since it bought an ad tech company he ran a year ago — gives Yahoo a boost in its most critical area of business. The search giant acquired supply-side advertising technology start-up AdMeld for $400 million a year ago. Before that, Barrett had previously worked at a range of digital and traditional media companies. His hiring is also a clear signal that Yahoo is about to make major changes to its ad business going forward. According to numerous sources, Yahoo is again mulling a plan to abandon or sell large parts of its ad tech business and rely on third-party vendors, including Google. Sources said Barrett was interested in the big opportunity Yahoo possessed and felt the ad market was still interested in helping it maintain its online ad business. SUNNYVALE, Calif., June 18, 2012 — Yahoo! Inc. (NASDAQ: YHOO) announced today that it has appointed Michael Barrett as Executive Vice President and Chief Revenue Officer. Barrett will be responsible for Yahoo’s advertising revenue and operations globally for the company, with Americas, EMEA and APAC regional leads reporting to him. Barrett joins Yahoo! from Google where he led the integration efforts following Google’s acquisition of Admeld, Inc. in December 2011. Barrett joined Admeld as CEO in 2008, and under his leadership the company became the leading global supply side platform solution for premium publishers. 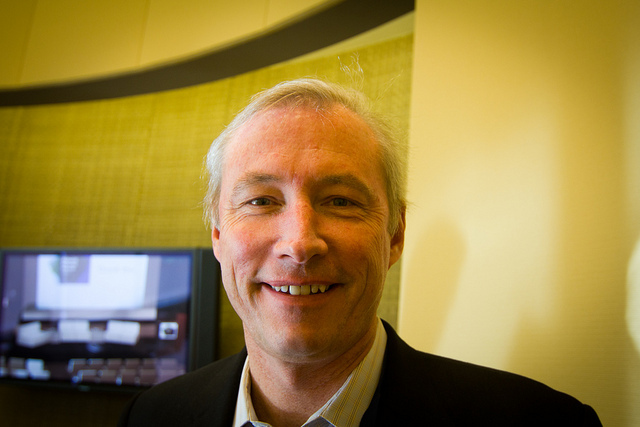 Prior to Admeld, Barrett worked at Fox Interactive Media as Executive Vice President and Chief Revenue Officer, where he oversaw worldwide revenue for all properties including MySpace and FoxSports.com and worked closely with Levinsohn. Before that, Barrett served as Executive Vice President of Sales and Partnerships at AOL Media Networks and held senior sales positions at interactive leaders Yahoo!, GeoCities and Disney Online. In his new role at Yahoo!, which he will assume in early July, Barrett will be part of the senior executive team, reporting directly to Levinsohn.